Integrated water resources management – Institutional building and training. The long term development goal of the project “IWRM - Institutional Building and Training” which is a collaboration between NIVA and the Ministry of Natural Resources and Environmental Conservation (MONREC) is to contribute significantly to the implementation of well-functioning Integrated Water Resources Management at the national level in Myanmar. The Irrigation, Water Utilization and Management Department (IWUMD) under the Ministry of Agriculture, Livestock and Irrigation and the Directorate of Water Resources and Improvement of River Systems (DWIR) under the Ministry of Transport are members of the steering group of the project together with MOECAF. The project consists of the four main components listed below, components which together enable IWRM. The project will pilot introduce the river basin management approach in the Sittaung River Basin. The case study area is the Bago Sub-Basin. The work will include the main phases of the water cycle: characterization, classification, prioritization, setting of environmental goals, and program of measures, and prioritizing among suggested measures for the production of a River Basin Management Plan. The ecological status of Inlay Lake and Bago River will be investigated in two pilot studies. 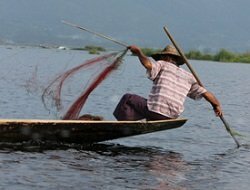 The goal is to develop model monitoring programs; one for running waters and one for lakes, which are adapted to Myanmar conditions. 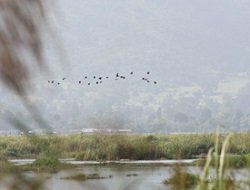 The developed model monitoring programs can subsequently be used to assess the ecological status of other lakes and standing and running water bodies in Myanmar. The laboratory at the Forest Research Institute (FRI) in Nay Pyi Taw will be upgraded and modernised to enable environmental impact assessment. Key personnel will undergo training as part of the project. A water quality database will be developed for storing, analysing and presenting monitoring data. GIS will be used to present results through maps and to serve as a management basis for the authorities and for public information. The project is part of a cooperative programme between The Norwegian Ministry of Climate and Environment, MCE and The ministry of Natural Resources and Environmental Conservation MONREC. Funding agency: The Norwegian Ministry of Foreign Affairs / The Royal Norwegian Embassy in Myanmar. 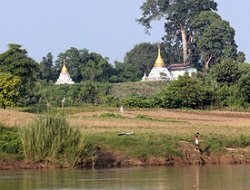 Two other projects which are led by the Norwegian Environment Agency are included under this programme: Conservation of Biodiversity and Improved Management of Protected Areas in Myanmar, and Management of Hazardous Waste.